In 2005 we launched our first AERA-ARCE Archaeological Field School for inspectors of the Egyptian Ministry of State for Antiquities (MSA, formerly the Supreme Council of Antiquities). Arch-Sci Lab Survey and Mapping Strategy Graphics Prep. We integrate the field school program with AERA‘s long-standing Giza Plateau Mapping project, run by Dr. Mark Lehner, with support from the American Research Centre in Egypt (ARCE) and funding from USAID, and The Charles Simonyi Fund for Arts and Sciences. 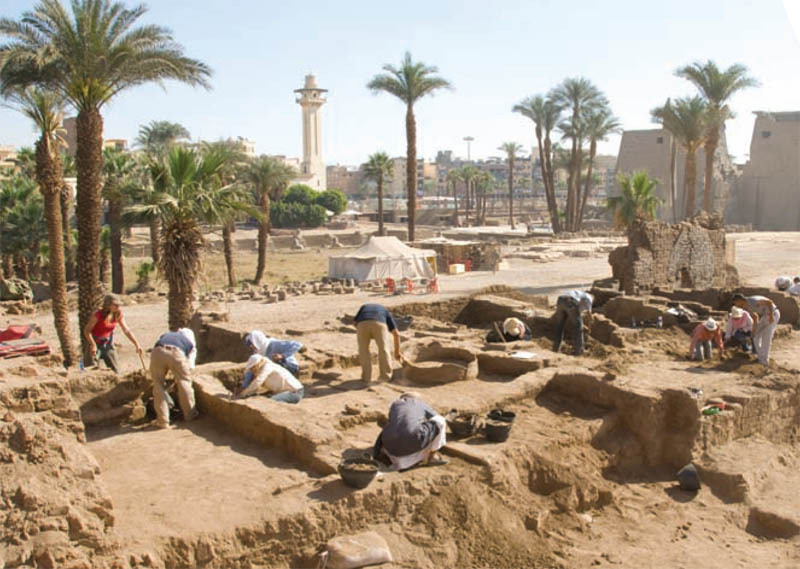 Archaeologists working with MSA Inspectorates from all over Egypt come to Giza to work closely with professional archaeologists from all over the world. Smaller groups allow for more in-depth training in the concentrations. Our aim is to give an overview of techniques for studying material culture and to introduce basic sampling procedures for collecting material in the field, even if for storage in situations where detailed processing and analysis must follow later. Whereas the Beginners and Advanced Field Schools are a little like basic medical training in a controlled environment, the SAFS takes archaeological training into the real world of urgent rescue archaeology, usually in an urban setting, the equivalent of medics in (by analogy) the archaeological equivalent of a war zone. Graduates of both the Beginner and Advanced Field Schools teach in SAFS, along with professional contract archaeologists experienced in rescue archaeology around the world. To date, we have held two SAFS seasons: Spring 2008 and Spring 2010. Taking place between January and March 2008, the first SAFS was the largest archaeological mission in Egypt at that time and emphasized basics of standard modern archaeological practice. Within the curriculum, students were taught surveying, systematic excavation and recording, retrieval and analysis of materials, storage of data and report preparation. The twelve-week program consisted of seven weeks of fieldwork, one full week of laboratory tutorials and three weeks dedicated to writing a report. Without writing for publication, at least for reports on-file, information is still not fully salvaged, even after systemic excavation and recording. The APFS teaches the preparation of reports for publication and, by publishing, conserving information from excavations, which MSA Inspectors carry out in all parts of Egypt. Each APFS student chooses a program and are taught skills such as preparing, plotting and drafting maps, archaeological illustrations, photo editing and writing season reports. AERA has begun to publish its field school manuals with the four-volume A Manual of Egyptian Pottery by Anna Wodzinska.